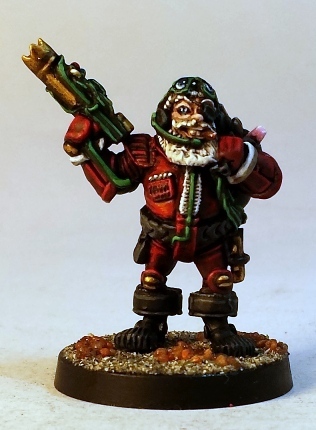 I know that November 11th is a bit on the early side for this, but regardless, its more or less time for a peculiar piece of Citadel history, a Space Santa from 1985. 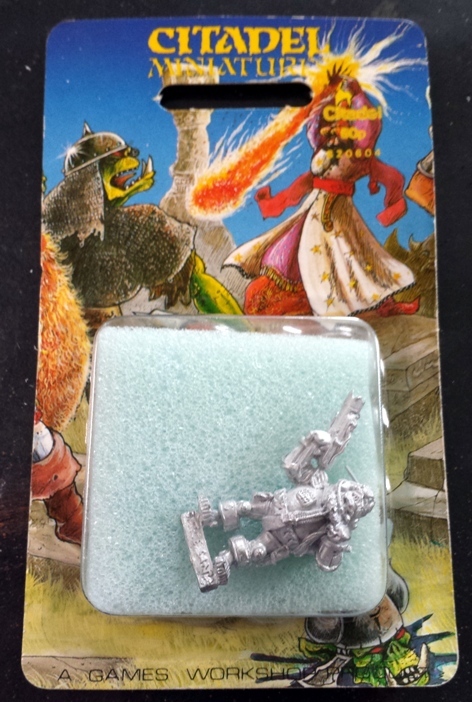 Just John generously traded me a spare of this limited edition Citadel miniature a couple of weeks ago. As a weird little piece of science fiction miniature history that is topical at this time of year, I figured that I would bump it up the painting queue so that it would be ready for some games planned for next weekend. Painting the model was a pleasant experience. Despite its age the casting was crisp and the sculpting was mostly well defined, so it was straightforward to paint pretty quickly. The painting is a bit of a rush job, with some bits that could be improved upon here and there, but its finished and easily good enough to game with, so thats something. I stuck to the traditional palette fairly consistently. I painted the various wires on the model in a greenish colour to match the seasonal trip hazards strewn about many homes in December. Note vaguely fairly light elements on the weapon. Space Santa should get some table time this weekend. Hopefully I will manage to get some photos of the little guy travelling from house to house via supernatural means then. I do miss some of the wacky that GW used to create; it’s nice to see it still gets on the table occassionally. Wow, that IS vintage; a really sweet trade. And well painted too, especially the face. Please tell me you also have a Chaos Lavatory lurking in your collection somewhere. No Chaos Toilet I’m afraid. It’s not high on my “wants” list, although if I did get my hands on a chaos bog I would feel inclined to work some sort of absurd scenario around it. awesome space santa you gonna attach some string to it and use it as a bauble on your tree? Ho ho ho! That’s the earliest Christmas mini I’ve seen this season! Really great, you master the colours and how to combine them. Bravo! I love him a lot, he’s really nice and the un is indeed excellent. What I’d need for him to be perfect would be a flying rhino APC (with mandatory squat crew) from which he’d toss presents, squigs and bombs. Don’t feel compelled to consider this idea though, it’s only something to make it move from the A++ slot to the A+++ one really. Just for the love of making silly voices (again) and “ohohohs”, he’s worth painting ! If you are not at the very least tempted to make silly voices while playing toy soldiers with your mates, then you are doing it wrong in my opinion. I think that you and I agree on that Asslessman. Seriously painting and modelling models to then play them in silly games with silly voices, that’s my motto. 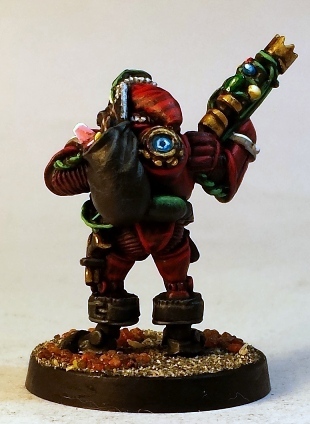 Jet pack beastmen with a deo grav-attack, Arrrr, you beat me ! And an excellent motto it is too, one to live by. Got to admit, Space Santa`s a new one on me but knowing you he will become a leading character in your ongoing gaming saga. 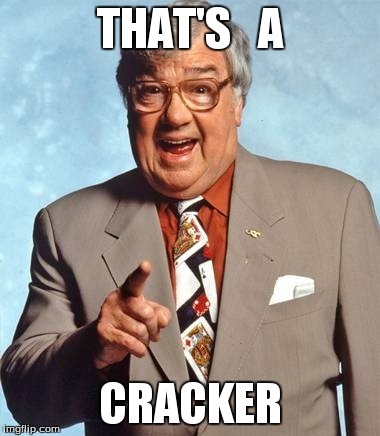 Has Santa got any special abilities ? Santa definitely has a few unusual powers. Short range teleporter, integrated moral compass detector, audio/visual stealth dampers, temporal distorter, Crackercannon, S.L.A.Y. personal transport vehicle, you know the drill. As for how regularly he features in my ongoing pulp episodes, I intend to limit his visits to one per solar revolution. 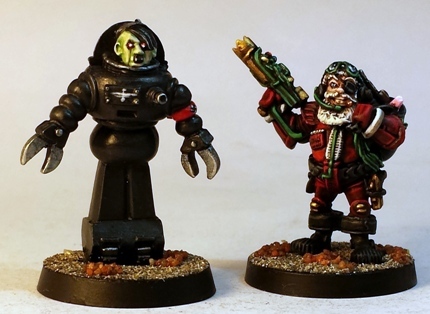 Love the space Santa, but tell me this will Hitler be part of the league ?